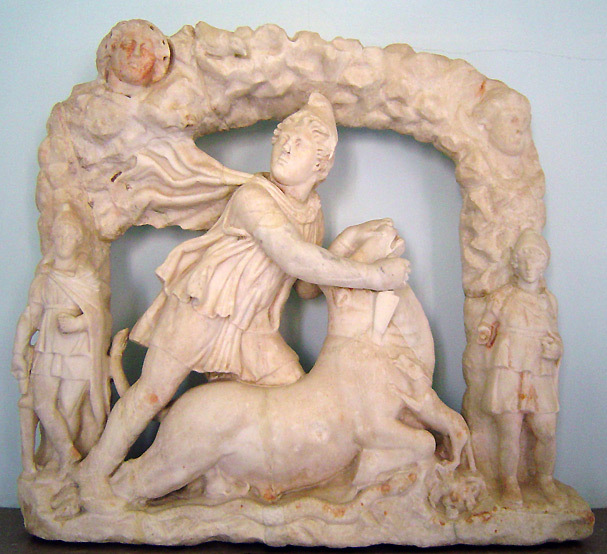 Monumenta – Mithraeum. Our Common Sun. Frame-work relief in white marble (H. 0.65 Br. 0.73 D. 0.15). The assumed find-place Panormus is uncertain, as the relief was part of the Coll. Astuto di Noto , which has been stored partly in Sicilia, partly in Rome. Palermo, Mus. Nazionale (Inv. No. 751).